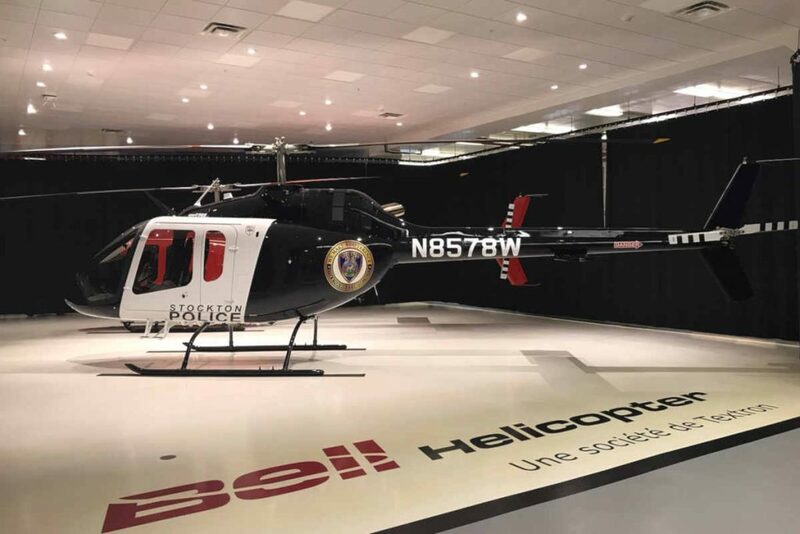 Bell Helicopter has delivered a law enforcement-configured Bell 505 Jet Ranger X to the Stockton Police Department in California. The law enforcement configuration includes several provisions for the sector, including high skid gear and forward/aft hard points for mounting equipment as well as a 15-inch monitor with moving map system, loudhailer, MX-10 EO/IR Sensor and Trakka Beam Searchlight. The Bell 505 is rated for a top speed of 125 knots (232 km/h) and useful load of 1,500 pounds (680 kg).